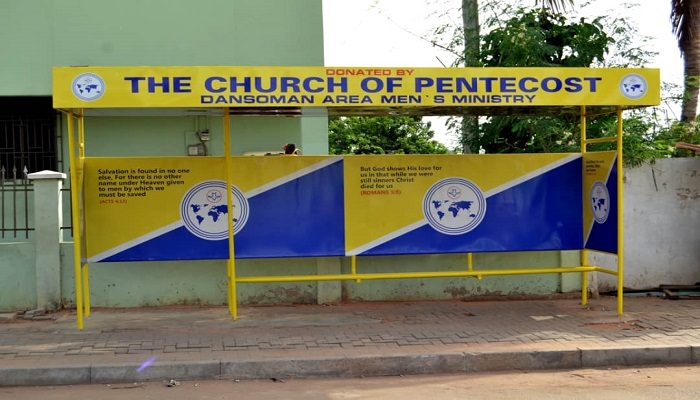 The Dansoman Area Pentecost Men’s Ministry (PEMEM) has constructed a bus stop at Banana Inn, a suburb of Dansoman, Accra in fulfilment of their social responsibility to the community. The Area Head, Apostle Onyinah Gyamfi, dedicated the facility on December 7, 2018. It was part of the implementation of Vision 2023 of possessing the nations. Speaking at the event, Apostle Onyinah Gyamfi thanked the Chairman of The Church of Pentecost, Apostle Eric Nyamekye, for coming out with the great vision for the Church to contribute her quota to national development. 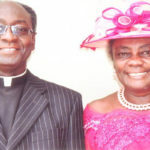 Apostle Onyinah Gyamfi also commended the leadership of the Area Men’s Ministry, led by Pastor George Yaw Asiedu, for setting the pace in Church-State partnership. The Area Head mentioned that the gesture was the beginning of many social interventions that the Church in the Dansoman Area will embark on. Pastor George Yaw Asiedu and his team decided to construct the facility to address the challenges that commuters at the vicinity faced when travelling to other parts of the city.